human-I-T accepts donations of all size and shapes, whether in the form of technology or monetary contributions. Why Donate TECHNOLOGY to human-I-T? You will be contacted within 1 business day - guaranteed. May I write off my donation? Yes! You or your business may write off the Fair Market Value of your items to the extent permitted by law. We even provide you with a free fully-itemized receipt, making cataloging of your donations easy. We accept every type of technology in any condition (excluding appliances). Simply put, we take in "anything with a cord". If it needs to be plugged in at any time, we'll accept it. Below you will find a short list of acceptable items. To see a complete list, download our Accepted Items Sheet (PDF). Using industry standard software, human-I-T completely wipes data and issues a Certificate of Data Destruction with every donation. Through a NIST 800-88 method, random data is written through the entirety of the drive, destroying any recoverable data on the drive. The drive is then re-scanned to provide verification that all data has been destroyed. If your company policy is to keep your hard drives, human-I-T can still put all your technology to good use even if it’s missing components or needing repair. What pickup or shipping options do we offer? human-I-T can come onsite to your location and pick up your donation. This is ideal for organizations in the process of large refreshes, migrating to the Cloud, moving, or liquidating their business. human-I-T can schedule approved carriers to pick up pallets of technology at no expense to you. If your organization can package its donated technology, human-I-T will send prepaid shipping labels to cover the cost of shipping. To ensure prompt service, please complete the donation form (with as much detail as possible) by including make, model, and quantity of the technology you wish to donate. 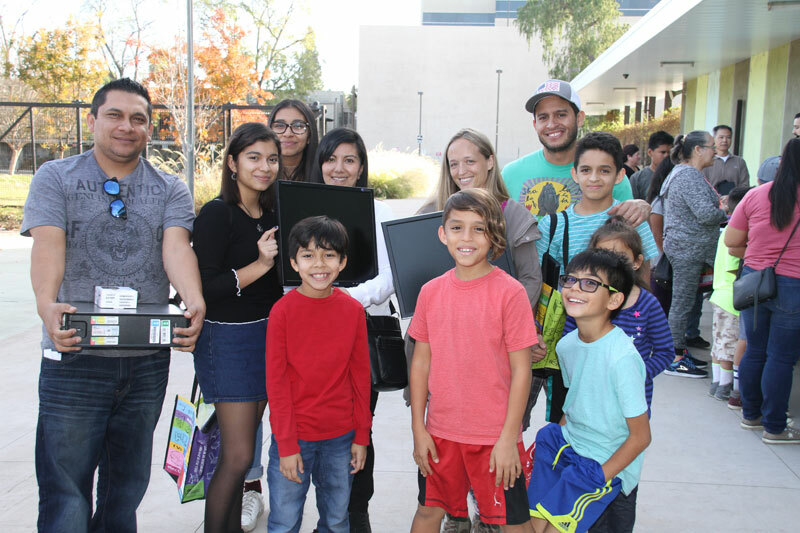 Your donation will change the life of a low-income family by connecting them to computer hardware, internet, and digital training. With your help, we can open the door to opportunity for those who need it most. $100 CONNECTS families with a mobile hotspot so they can access the internet on-the-go.